Franchise starved Universal Pictures blew a tremendous opportunity in 2009 with “Land of the Lost”. 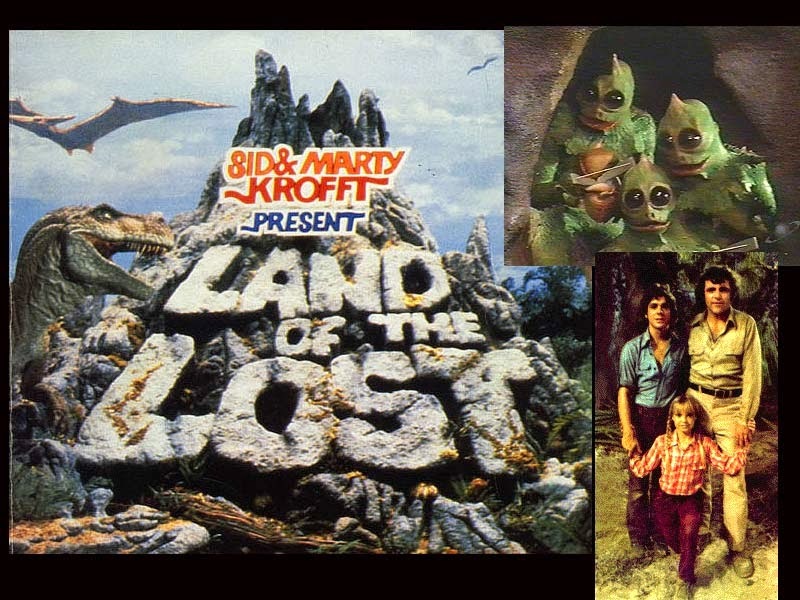 Inter-dimensional travel, temporal mechanics, lost cities, menacing humanoid lizard creatures, and rampaging dinosaurs were some of the mainstays of the Sid and Marty Kroft produced NBC Saturday morning live action series “Land of the Lost”, which ran from 1974-1976. It may have been a children’s show, but this was a serious adventure series. Despite the low budget there was a creepy other-worldly sense of mystery and wonder to the show. Many of the scripts were written by the best science fiction writers of the day including Theodore Sturgeon, Larry Niven, Ben Bova, Norman Spinrad, Dorothy Fontana and series co-creator and story editor David Gerrold. This was a show ripe for an intelligent update ala J.J. Abrams. But instead the producers decided to turn it into a Will Ferrell comedy—and a wretched, offensively unfunny one at that. Note to the producers at Universal: The best way to launch a franchise is not to insult the fan base by mocking them. Perhaps the greatest irony is that these same tone deaf producers hired Michael Giacchino to write the score for the “Land of the Lost” movie. Giacchino is of course the composer of “Lost”—a serious (and wildly successful) approach to the same themes as “Land of the Lost”. Thankfully, Giacchino does take the material seriously, creating an exciting score in the Jerry Goldsmith tradition by scoring the film that should have been made, as opposed to the awful one that was. The “Land of the Lost” soundtrack album is jam-packed with 32 tracks of orchestral blast—an exciting and colorful array of “Lost” style adventure music. Among the highlights are “Swamp and Circumstance”, a creepy suspense motif, “The Lighter Side of Archaeology”, actually a scary “Lost” style danger motif, and “A Routine Expedition” which introduces the main theme, an irresistible “The Incredibles” style James Bond rift complete with a banjo and electric guitars. “Never Trust a Dude in a Tunic” begins with big, lush, romantic golden age style string swell before morphing into an escalating danger cue with a wonderful sense of mystery. Then, the track transitions again finishing off with a gorgeous “Lost” style sentimental motif that is developed throughout the score as the soundtrack’s emotional theme. As has been said in these pages many times, no current composer brings more accessible emotion to the table than Michael Giacchino. His ability to create deeply affecting music, (even within the context of a putrid project such as this one), is astounding. Giacchino also writes some of the best action music in film and television today, and “Land of the Lost” is no exception. This is more than anything, an action score, and one that is brimming with exciting, propulsive, adrenaline inciting cues. The absurdly entitled “When Piss on Your Head is a Bad Idea” is a rousing piece of music, as exciting as anything you will hear on any soundtrack today. “Undercover Sleestak” is a pulse-pounding statement of the main theme and primary action motif. 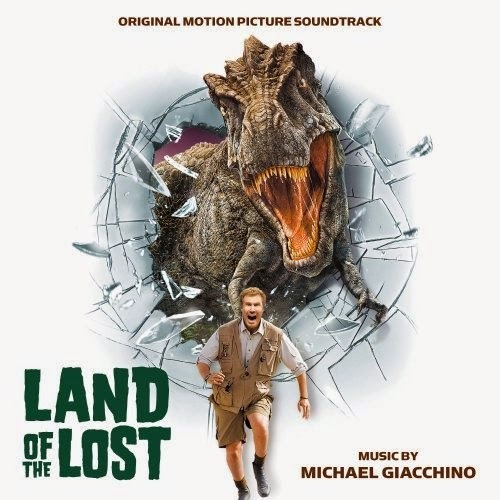 Bottom Line: “Land of the Lost” is a colorful, entertaining soundtrack full of exciting adventure music and further evidence Giacchino is the closest thing to the modern version of a Williams/Goldsmith/Horner.